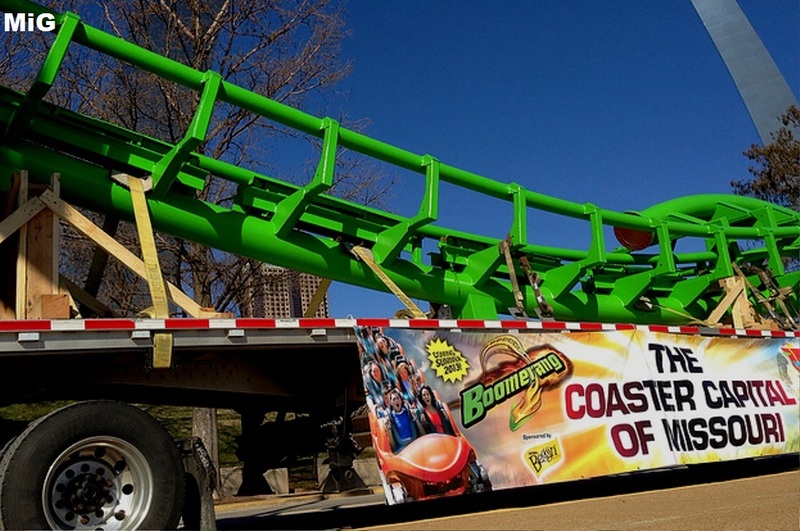 Six Flags St. Louis decided to show off track for their "new" coaster Boomerang. 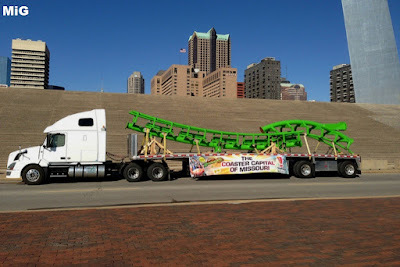 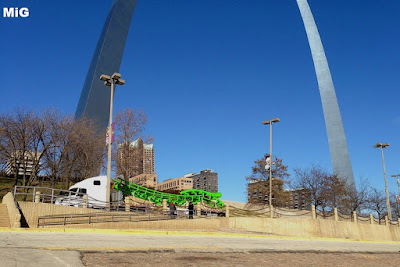 They did a photo opp with the track segments near the Gateway Arch. Not sure how long the track will be here so make your way over to the Arch if you want to see it.